As the New Year approaches, I've been busy wrapping things up for 2014 (literally!) 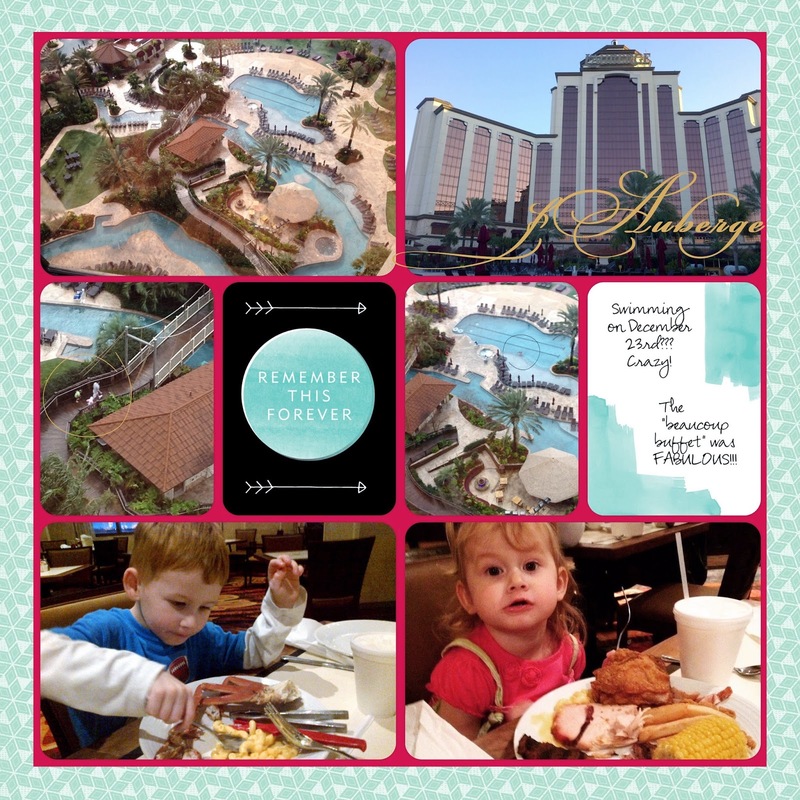 and making plans for 2015! I love the New Year and the new beginnings that it brings! 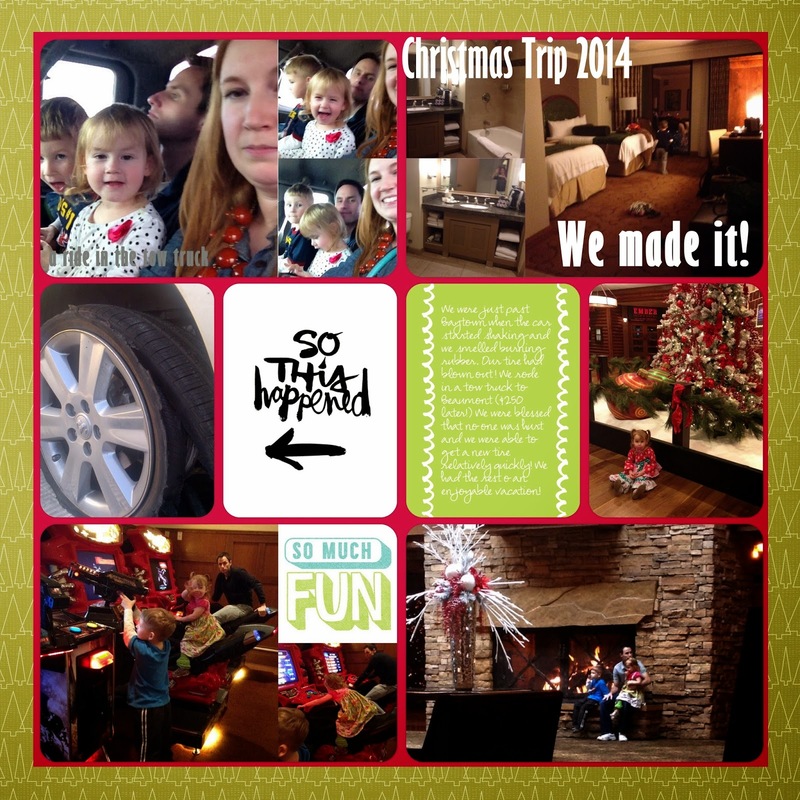 One of my resolutions for the year is to consistently document our family adventures! The kids are growing way too fast to remember all the adorable things they do. For example, Sophie likes to say, "Looks like..." As in, "Looks like you want a bite." or even more adorable, "Looks like me want a bite." Seriously, she could not get any cuter! And I'm gonna have it written down to prove it! As far as goals go, if they aren't written down and you don't have it scheduled on the calendar, it's NOT going to happen! So, every Sunday morning before church (we attend the 1:00 next year), I'm going to document our week. (I much prefer the word "document" to "scrapbook". Details, details.) Then, I'll post the finished product here on the blog on Monday! Lucky you. ;) I'm also starting up an MDS club to teach you how to use the software, so if you are interested in getting monthly tips, tricks, tutorials and projects, contact me! 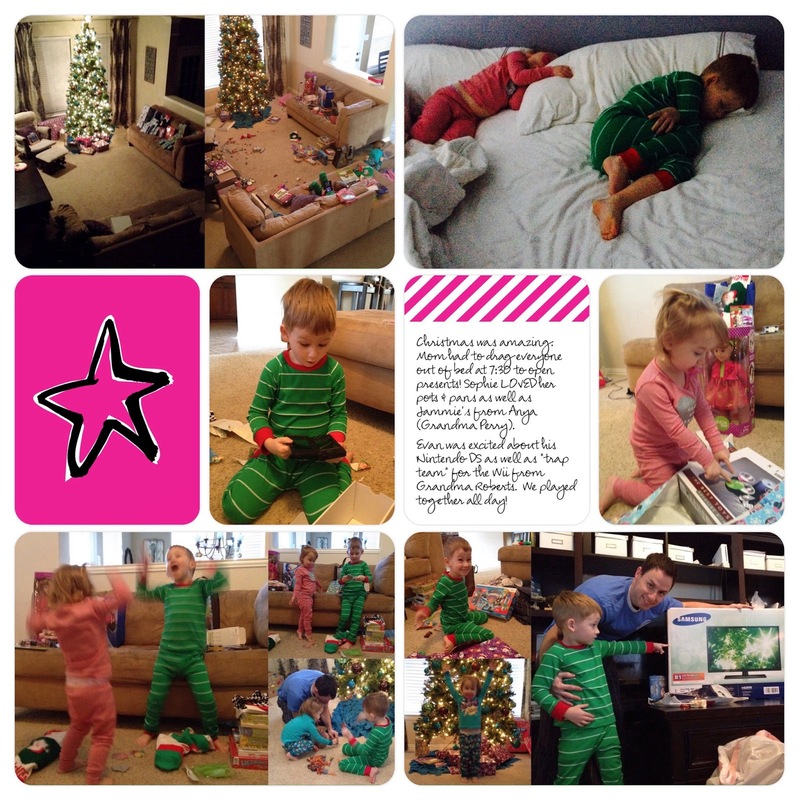 So, without further ado, here are our Christmas 2014 pages! 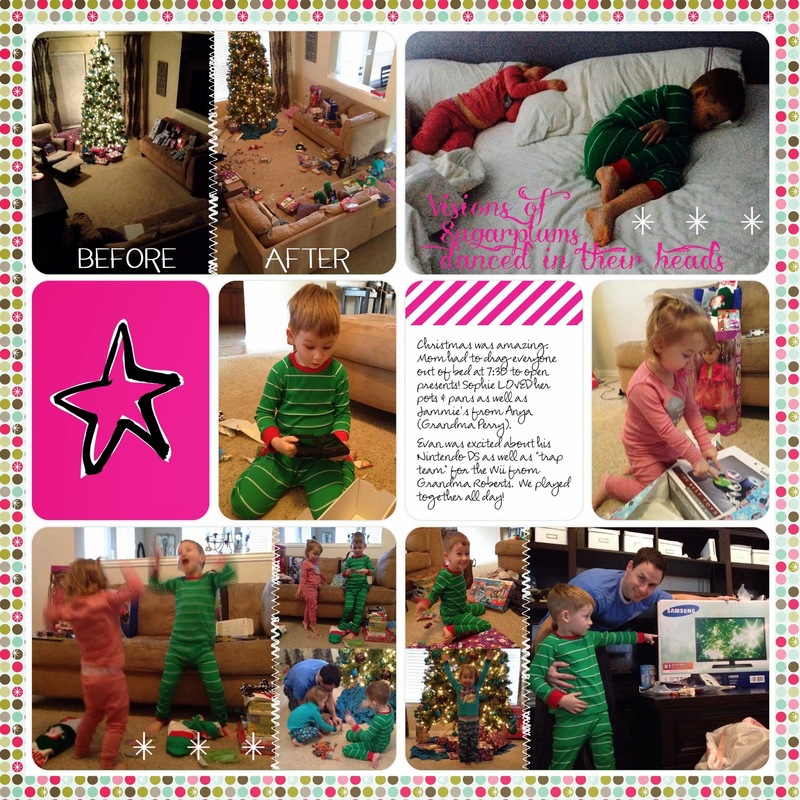 The "Before" is using JUST the Project Life App, and the "After" is jazzing it up a little using Stampin' Up! 's My Digital Studio (MDS). Just by adding a few finishing touches. This page was a little tricky, so I didn't add much. That white card in the middle immediately draws your attention, but I did want to add more of a title without adding any more "busy-ness". I also wanted to balance out that dark red with a fun Christmas tree border, which is from the Frosty Days II designer series paper. The next page was lightened up quite a bit with the blue background paper. (Also Frosty Days II) The gorgeous photos speak for themselves, but it also needed a beautiful title. I love being able to add text anywhere on the page, in any font I want! 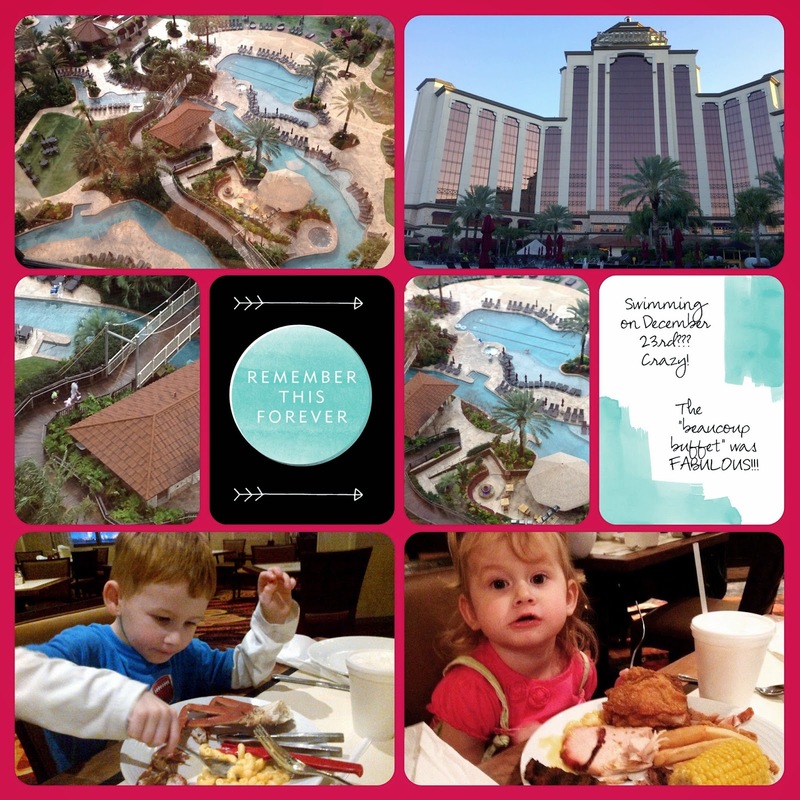 I also added just a few photo highlighting circles to show that they were INDEED swimming outside on December 23rd!!! I love, love, LOVE the woodcut snowflakes on this page!!! I love how it ties in with the wood nativity set. (The first in my collection!) Their lightness enhances and softens the page, and guides your eye around the entire page. The following might be my favorite of the four! 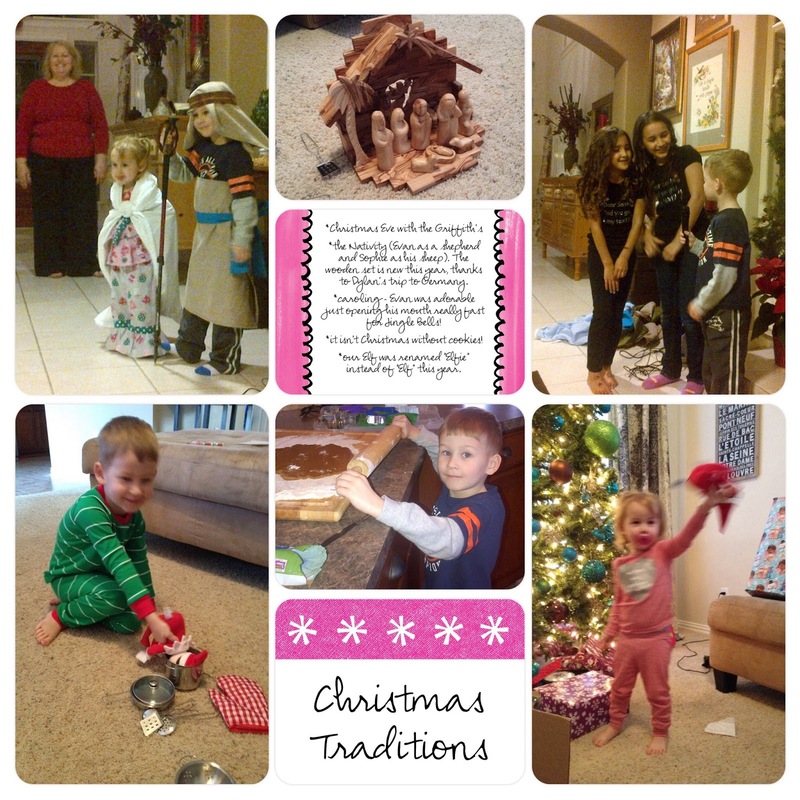 I added stitching to separate the "before & after" photos of the Christmas room. The Before & After text was also added. 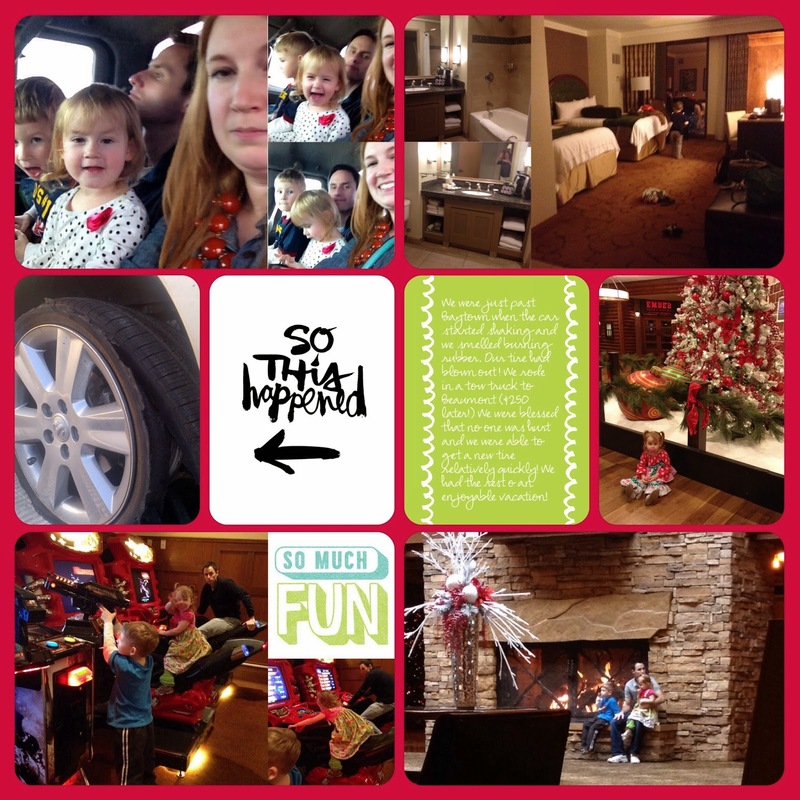 (LOVE how MDS enhances the awesomeness of the Project Life App!) 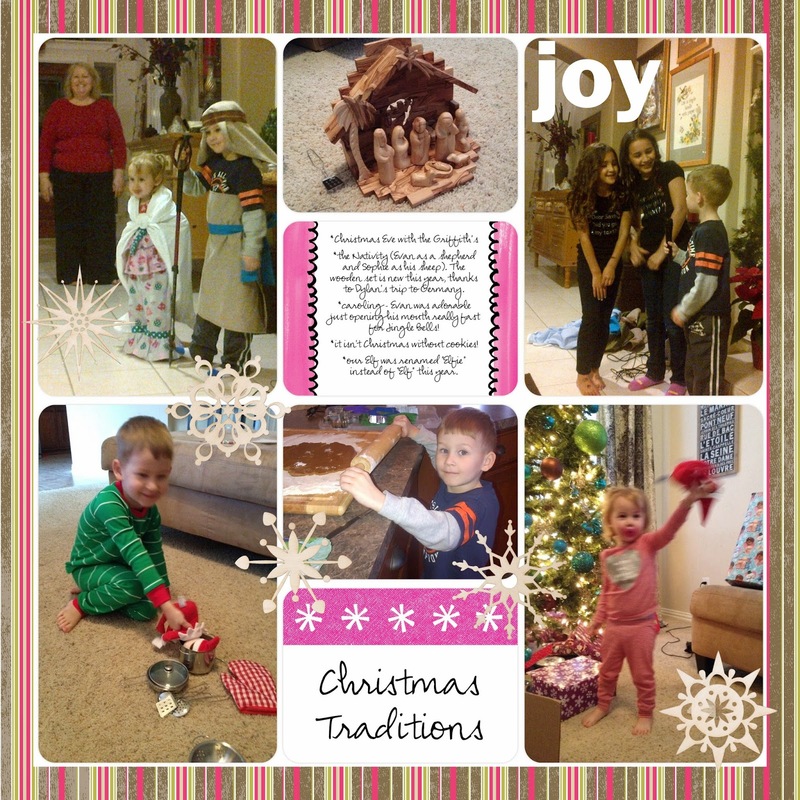 I love the background paper border, and I LOVE LOVE LOVE the "visions of sugarplums" quote I added to their sleeping picture. Those little stars are just a stamp and add the finishing touch to this adorable picture! I'm thinking I need to frame that little corner of adorableness.I repeated the stitching as well as the stars at the bottom to add a little balance to the page. What do you think? Which page is your favorite? Is MDS something you want to learn how to use a little better? It's super user-friendly and really enhances the Project Life App! You can download a Free Trial below, or purchase the program in either digital format or as a disc.